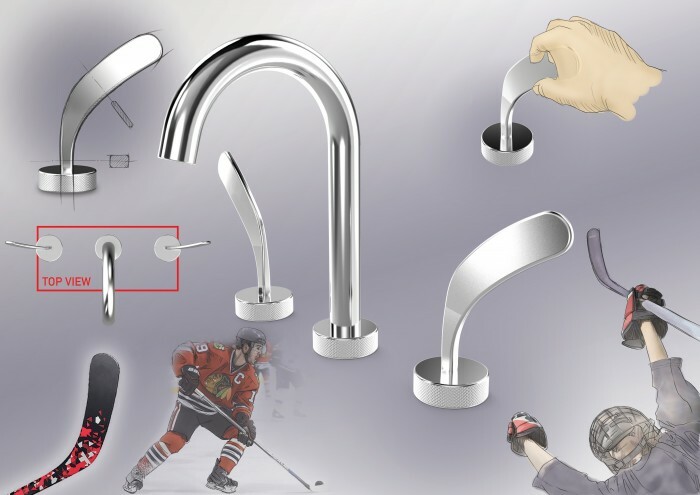 The creation of 'Hockey Style Faucet Handle' is irresistibly attractive for hockey-lovers. Especially it's a unique design highlighting a 'Hockey Stick Head' shaped handle plus with 'Hockey Puck' shaped base as World's Pioneer Design and also available to resonate the enthusiasm of Hockey's happiness & passion from sport game to hygiene cleaning. In particular, it's a novelty to faucet (or mixer tap) product controlling the hot/cold water temperature via classic hockey stick head in world's bath industry…………….The design image here represents ‘hockey shooting’ when control moment of faucet ON-OFF. 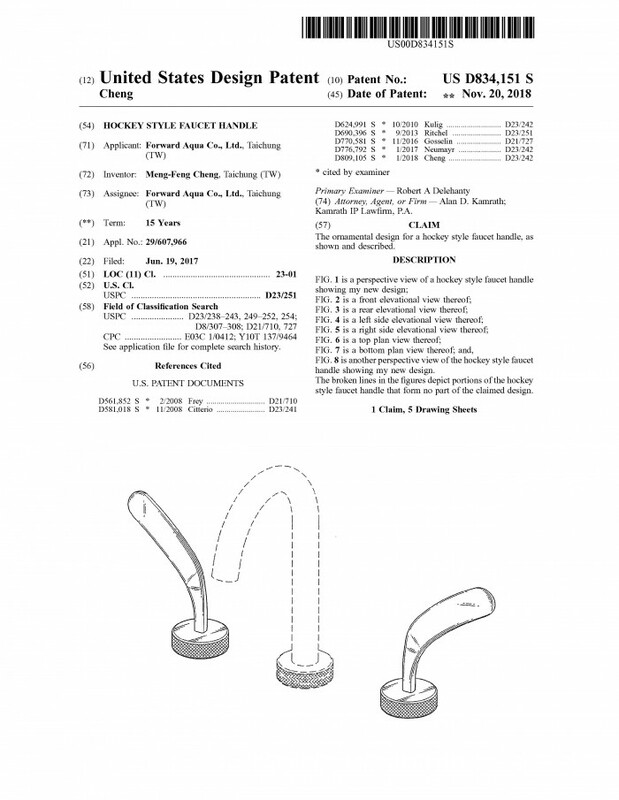 In other words, this is world’s pioneer design in trendy crossover between bath industry and hockey industry and is also available to realize into 'two-handle widespread lavatory faucet, two-handle kitchen faucet or two-handle roman tub’ in US marketplace under this strong patent claim for fifteen years exclusively as upside. According to the survey from NHL Public Relations, it shows that the NHL entertains more than ‘670 million fans’ in-arena and through its partners on national television and radio; more than 151 million followers - league, team and player accounts combined - across Facebook, Twitter, Instagram, Snapchat and YouTube; and more than 100 million fans online at NHL.com. >> Big fans, big business potential!!! So I would like to introduce US DESIGN PATENT SELLING of all-new Hockey Style Faucet Handle featured unique design concept(see above) to NA’s leading company in bath industry, if your company was interested in? Page created at 2019-04-21 16:32:18, Patent Auction Time.